Welcome to WESTERN CITY Greenhorn! 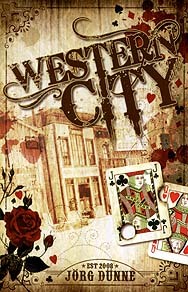 Western City introduces immersive mechanics so all the players share the spotlight without anyone being the gamemaster. Toss your chips in the pot where the story matters most to you, and work together to bring a spaghetti western to life around your gaming table.